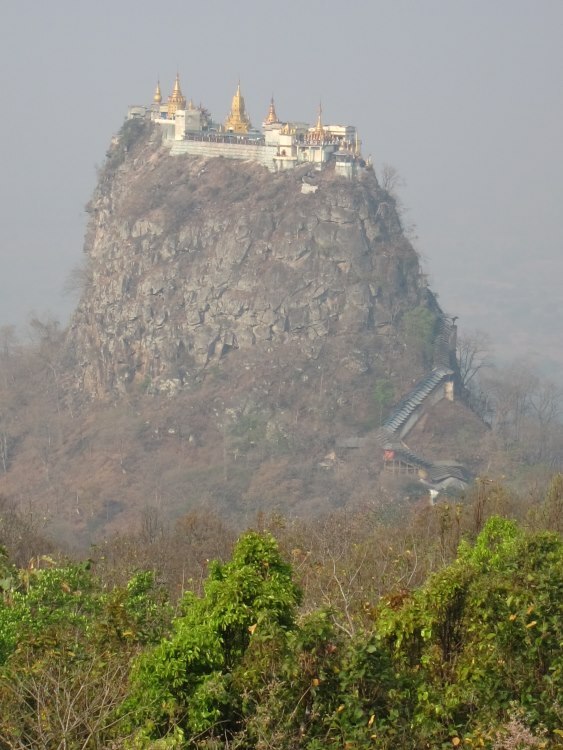 A dramatic, sheer volcanic plug, an hour or so from Bagan, Mount Popa protrudes magnificently from the flanks of an extinct volcano. 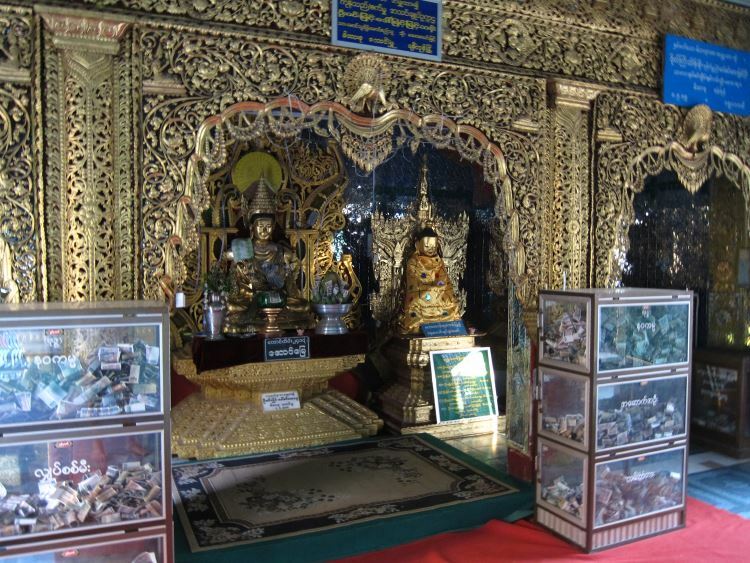 It is the most important site for the nat, the multitude of spirits which still exert great power with the Burmese population. The climb is brief but steep, made on a covered walkway. 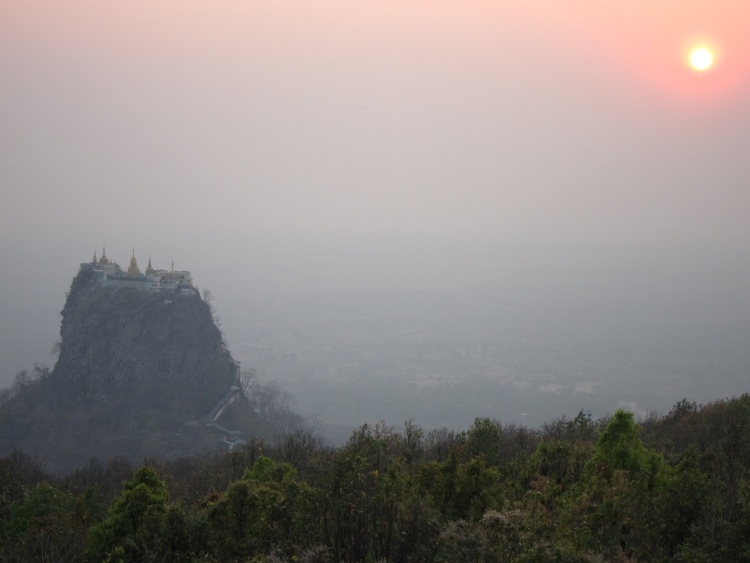 The reward is the array of shrines, stupas and temples at the top; and huge views out over the often sweltering plains of the Bagan area. It is always swarming with visitors, but that is part of the fascination. 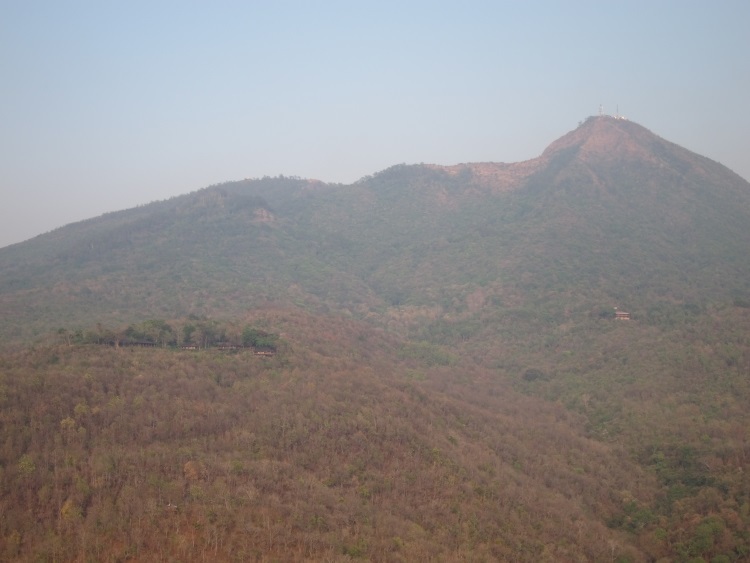 The adjacent higher slopes have hiking trails up to the rim of the old volcano. 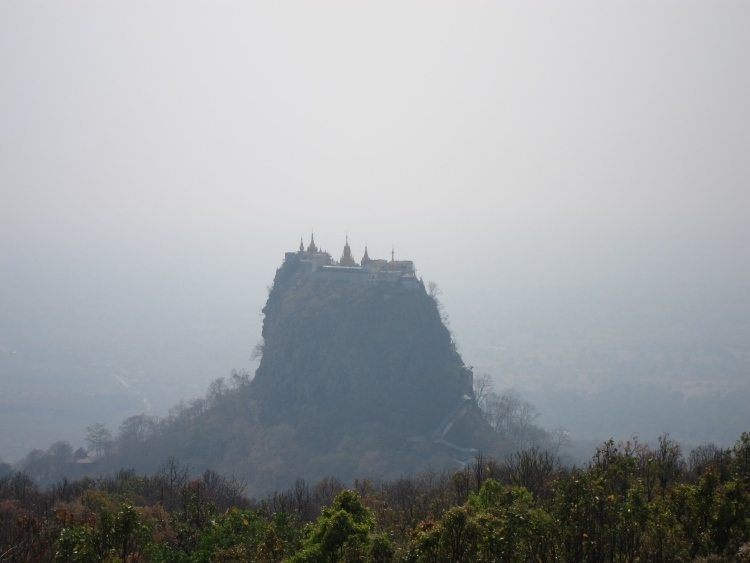 0How convenient: a long half day's expedition (or an hour's drive or so) from fabulous Bagan is a very different world, a sheer volcanic plug packed with religious and cultural detritus to climb. 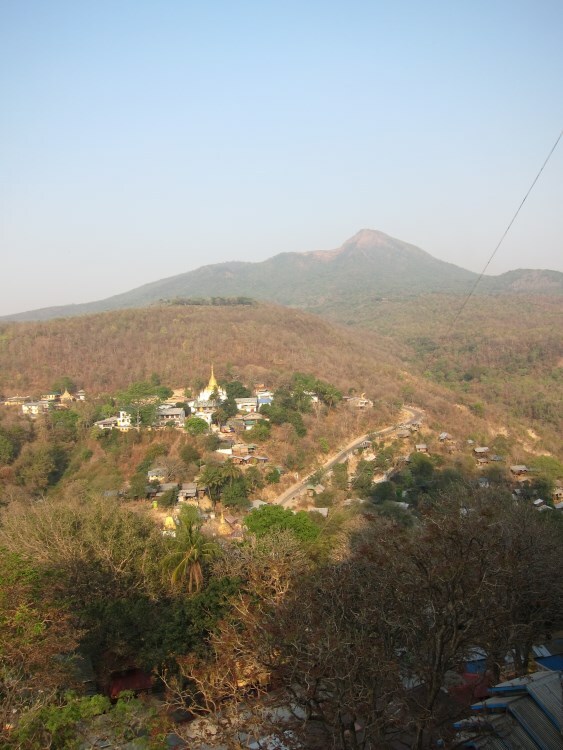 Mount Popa protrudes magnificently from the flanks of the extinct volcano from which it was spawned. It is the most important site for (indeed could be called the principal seat of?) 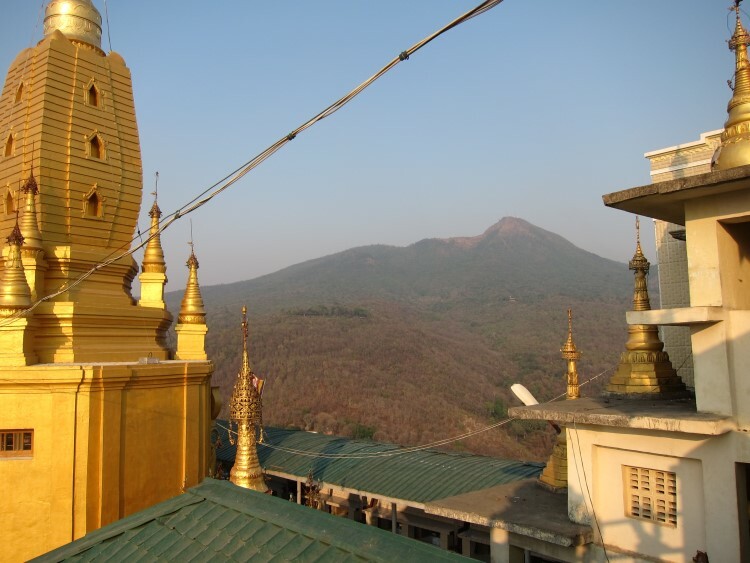 the nat, the multitude of assimilated animist and heroic or tragic mythical spirits, some pre-Buddhist but all of which have been assimilated into a peculiarly Burmese cosmos, which still exert great power with the Burmese population. The climb is brief - half an hour-ish - but steep, made on a covered walkway. 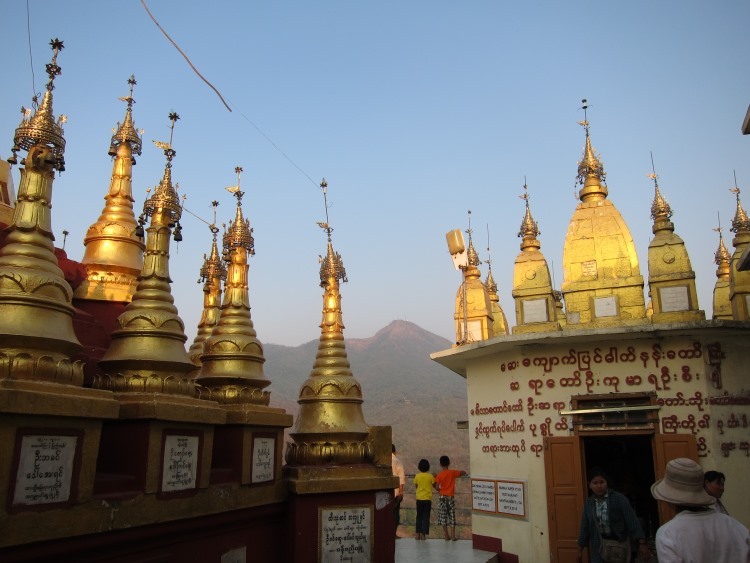 The reward is the shrines, stupas and temples which crowd the top; and huge (if sometimes dusty) views out over the often sweltering plains of the Bagan area. You will want to allow for quite a bit of time up top to poke about and enjoy the atmosphere. You will never walk alone here: there are always crowds of locals and vendors at every turn. But it is as a result marvellous for people watching. A guide is helpful as this rich place needs explaining, and is reasonably easily arranged on the spot. Don't be too tough on the bargaining: every cent helps the oppressed locals. 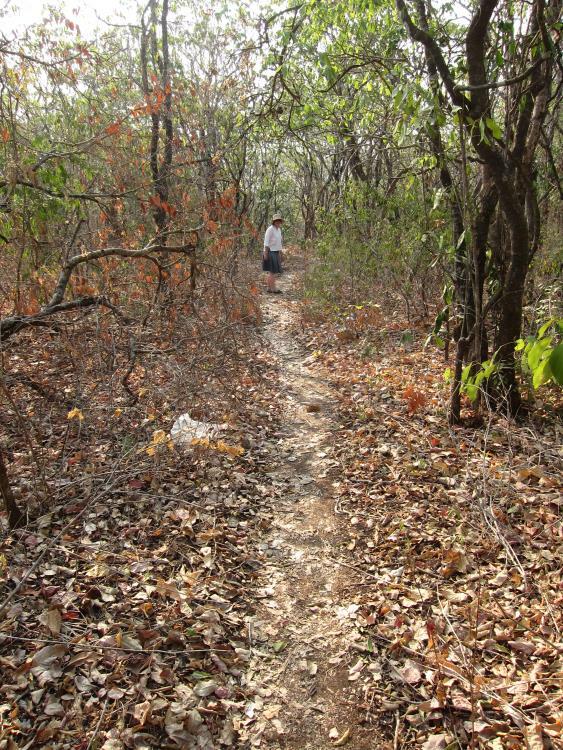 The adjacent higher slopes have hiking trails up to the rim of the old volcano which also goes, rather confusingly, by the name Popa. 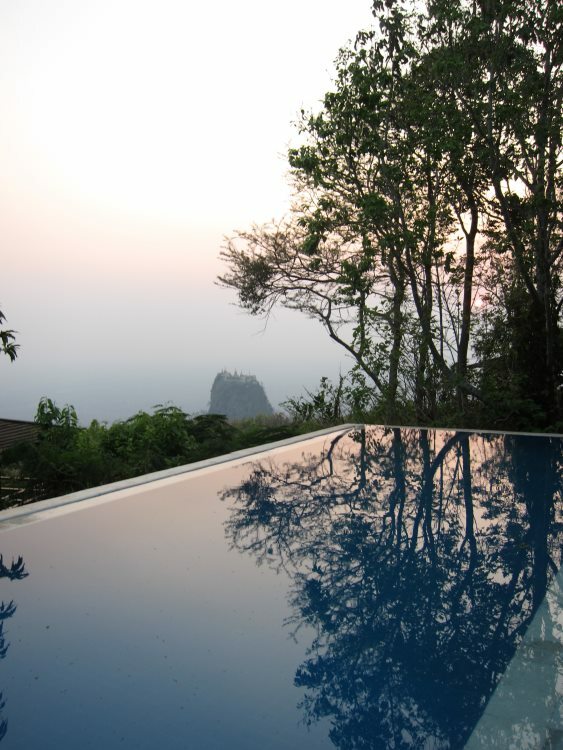 You can climb to the rim and back in around four hours from the Popa Mountain Resort, best starting early in the day. The forest is depressingly "secondary" but interesting nonetheless. 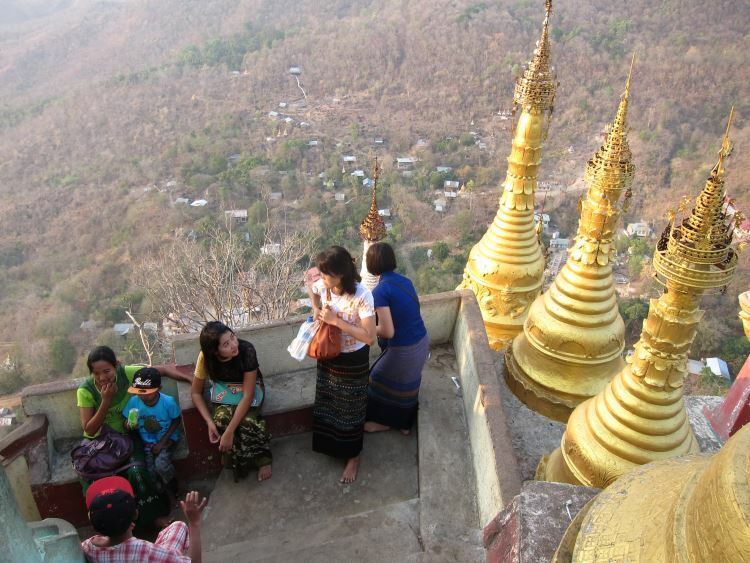 The atmosphere and views at the top are worth the effort and a welcome variation from hot plain temple bashing. 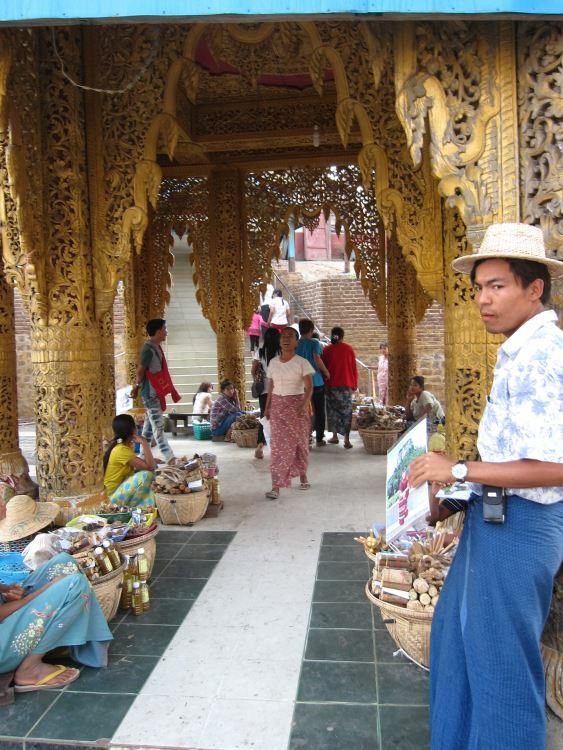 Lonely Planet's Myanmar has reasonable starter information on the area.